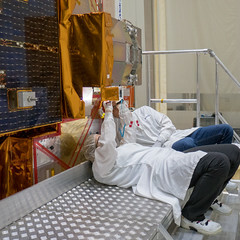 Sentinel-2A is now on its way to the launch site in Kourou, French Guiana. 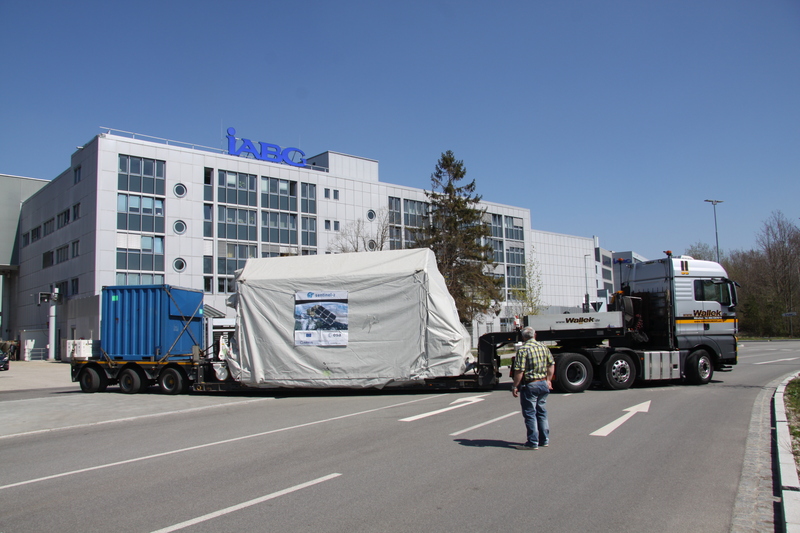 Packed in its special transport container the satellite has been taken by truck from IABG’s facilities to Munich airport. Along with four other containers of equipment, it is being loaded onto the Antonov cargo plane, which has been authorised to take off at 21:00 (CEST) this evening. The plane is due to touch down at Cayenne airport at 03:30 (French Guiana time) tomorrow, 21 April. Once the precious cargo has been loaded onto trucks, the convoy will set off for the Centre Spatial Guyanais (CSG). On 22 April, the container will be opened, unpacking starts and the launch campaign begins.